Here's a Classique I had but have since passed on. 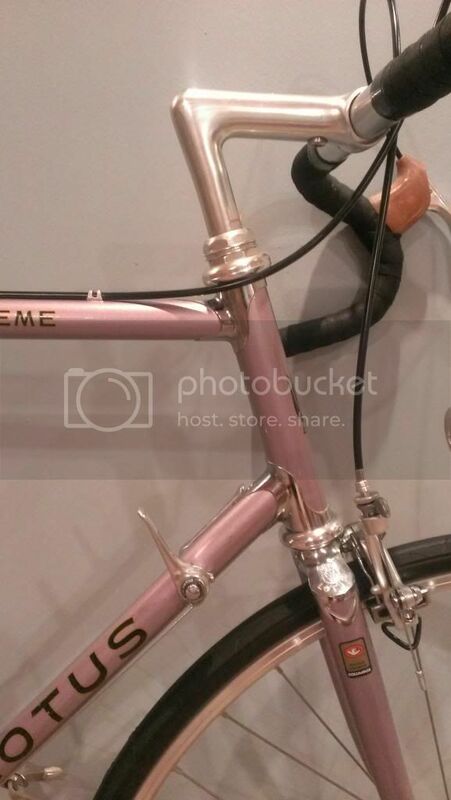 I found the frame dumped on the street pretty much stripped of most parts but looks like it had Shimano 600 Arabesque originally. 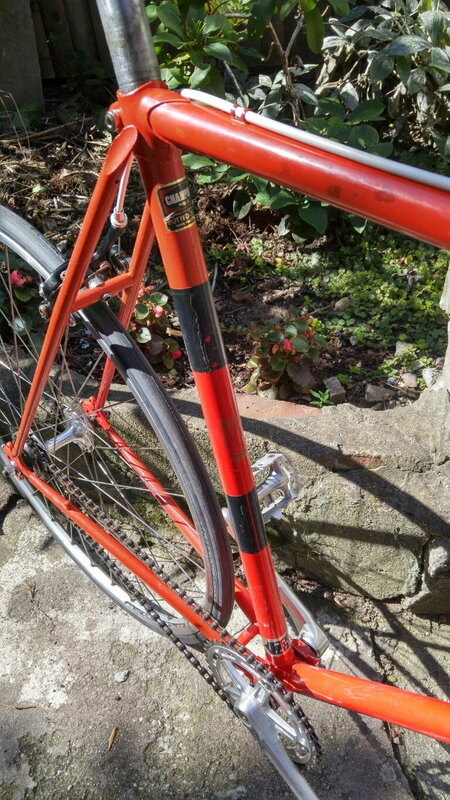 Frame was made from Champion tubing. I built it up using parts I had lying around - hence the non-matching collection. You wouldn't happen to know if those were specced with 165mm cranks on the small sizes like yours? 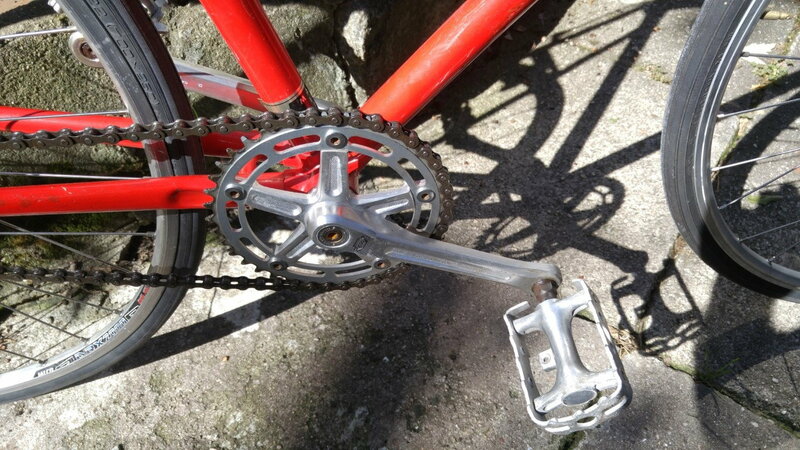 I've been having a hard time finding 1st gen Deore crank arms (with the oversized pedal holes) in 165mm and the Lotus Eclair seems to be one of the only bikes imported to the states that had Deore cranks as standard equipment. Sorry, @Kuromori I have no information about the original specs. This is an original spec Eclair. Maybe you can find it's owner. You might get an answer here as well. Good luck! Calm down Dude - that's a reproduction water bottle. The originals had a horrible plastic smell and got brittle with age in pretty short order. I still have one but glue and tape hold it together. It's only useful as a prop. I just checked my Eclair. The deore cranks on mine are 170mm. OK, I'm going ahead with the frame repair and rebuild project on the mystery '84 Legend. 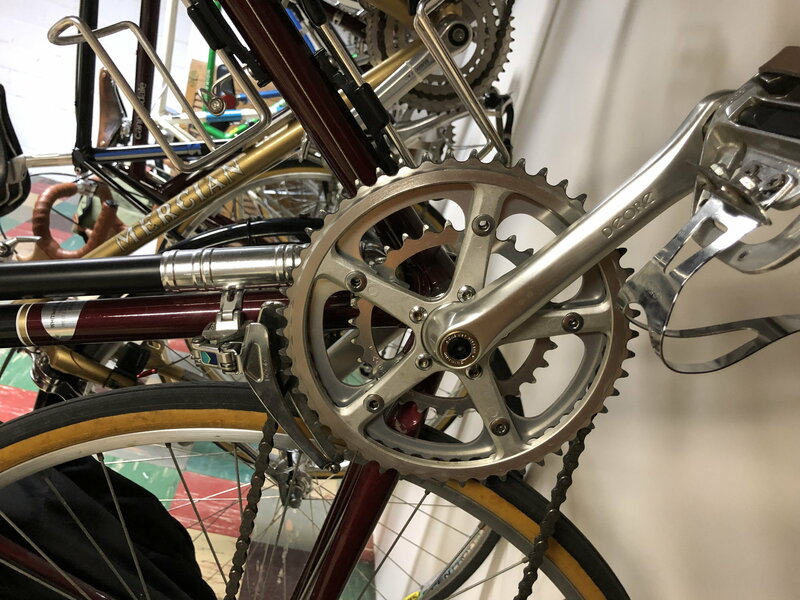 I'm not finding a willing source for chrome dipping the fork and chain stay ends so it will be a solid end-to-end respray. But I don't have any source of the an accurate way to duplicate the original Lotus "Oxide Green" color. 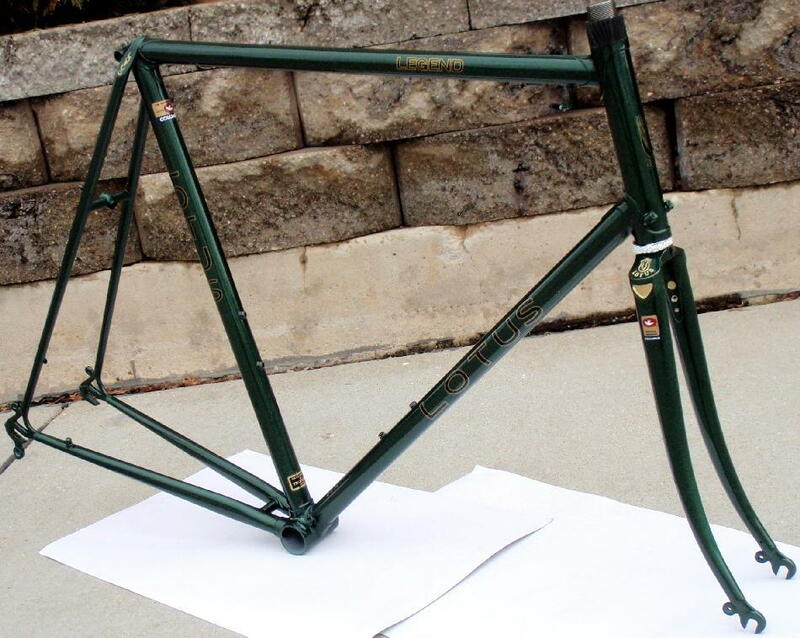 Does anybody out there have any idea of how to spec a DuPont paint color close to the original oxide green? Hey, is that Legend Comp of yours the "oxide green" color? I'm trying to find a DuPont paint color close to the original Lotus oxide green but I don't have access to any oxide green Lotus to compare paint sample chips to. Yes, yes it is. there area couple of pics on the vintage Lotus site. Those are just pix - I have no way of knowing if what the color looks like in the pix in any way accurately depicts what the real paint color actually is. For example, in your pix the paint color looks like dark gray, not green. I will see if I can match it for you. Thanx! If you can match it to any kind of standardized color check system, even just Pantone, that would be a great start. A DuPont metallic paint chip would be even greater but I'll take anything for starters. Lotus just didn't paint many bikes oxide green, especially not the much more plentiful popular models. That is beautiful. Nice choice on the color. Yellow Jersey has painted two framesets for me; I'm very happy with their work, prices, and service. Thanks. As I said, it was a punt. Even though an automotive paint company gave me stacks of old paint chip reference books, it was pretty hard to find any paint that resembled "oxide green" in my mind - or even looked like the pix on the vintage Lotus site. Green doesn't seem to be a popular auto color either because the choices were few and kind of odd. 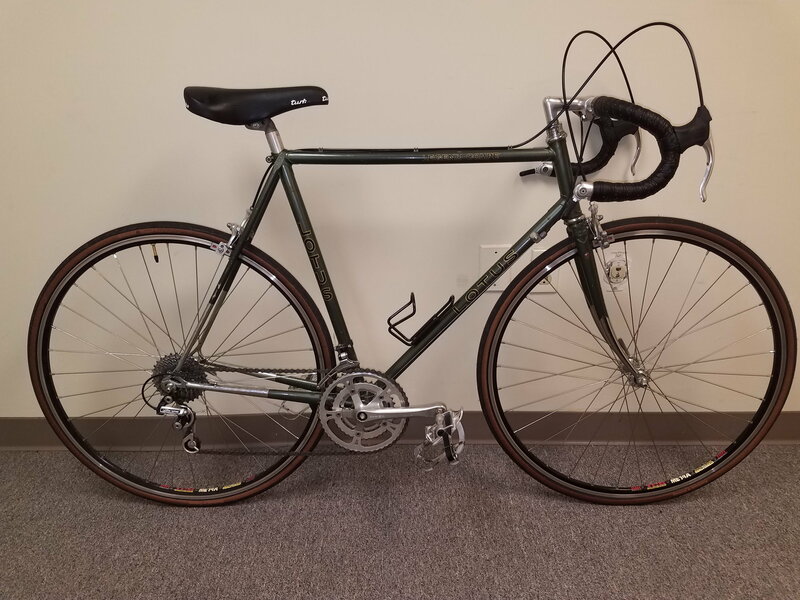 But Yellow Jersey had a pix on their website of a Raleigh Record they had repainted in what looked like a pretty nice dark green so I just told them to run with that. "42861 Chrysler Green Metallic" I just lucked out because it looks really great in person. Yeah, they were really fast on this job and the frame came back like an emerald jewel - I feel like I should be wearing white cotton gloves and I'm kind of scared to put a wrench to it. Yeah, their website is pretty overwhelming and chaotic . . . interesting though, unless you're in a hurry to find something. But their paperwork is even weirder. They apparently reuse any paper that comes into their shop with a blank side so one of the notes I found in the box with the frame was printed on the back side of a Melania Trump fundraising letter. Makes it a little hard to spot which side is your business and which side is misc. junk mail. 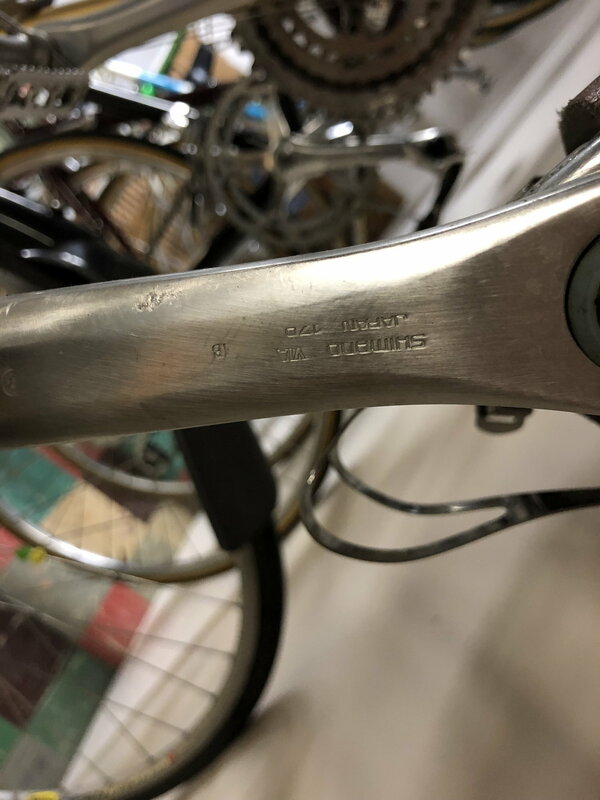 Hello Everyone I am new to the classic and vintage forum and have a question regarding a bicycle I just got. 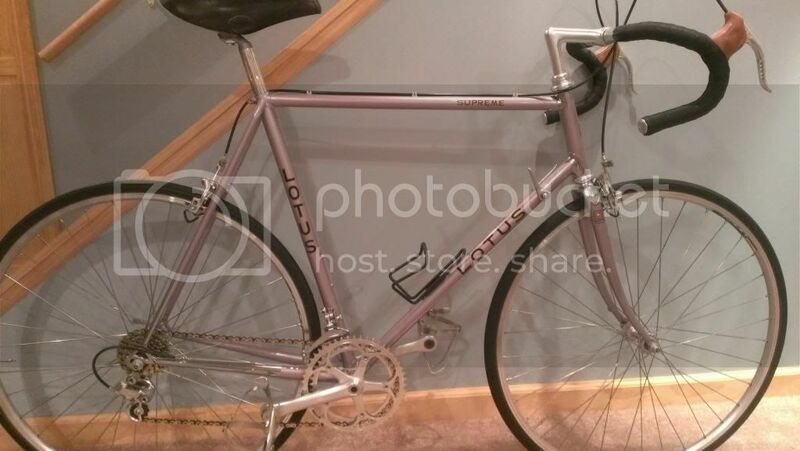 It is an Lotus Elan 75 with the sequino 75 cranks derailleur front and rear gear shifters headset etc. It is white with fade black paint job. The question is what wheels and hubs came with it originally they are missing and I would like to put it back into original condition. Any help would be appreciated. Thanks for the quick response. Since I am new to this would the rims /wheels be 700's or older style 27 1 1/4 the specs do not say. 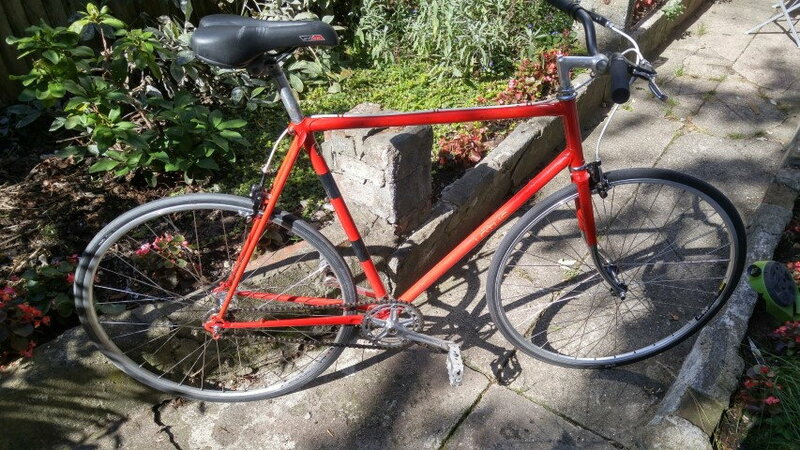 In 1987, the bike almost surely would have had 700c rims. And those 700 rims would have been for tubular (sew-up) tires, not clinchers, if you want to be totally accurate. Yellow Jersey would probably be the best source for those kinds of rims and tires.